Actively cascading water in a well is generally viewed as an unhealthy condition and should be corrected by a Well Service professional by adding a sleeve to stop the flow. 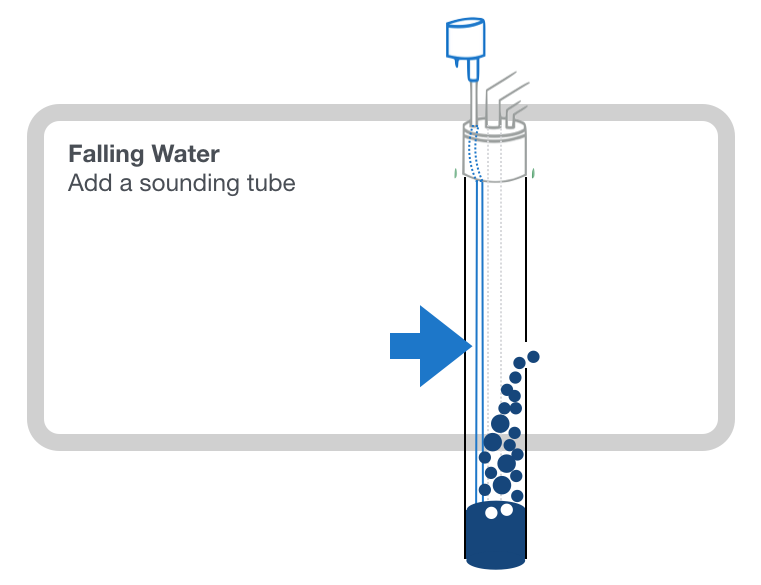 However, where cascading is present, it will help to mount Wellntel on an access port fitted to a sounding tube. We’re happy refer a professional in your area if we can. Feel free to inquire by email at techsupport@wellntel.com.